Architect and designer Max Gunawan is driven by an innate passion for minimal designs that deliver maximum impact, to which his portable Mini Lumio Book Lamp (2013) – a 2015 Red Dot Award winner – is an unequivocal testament. 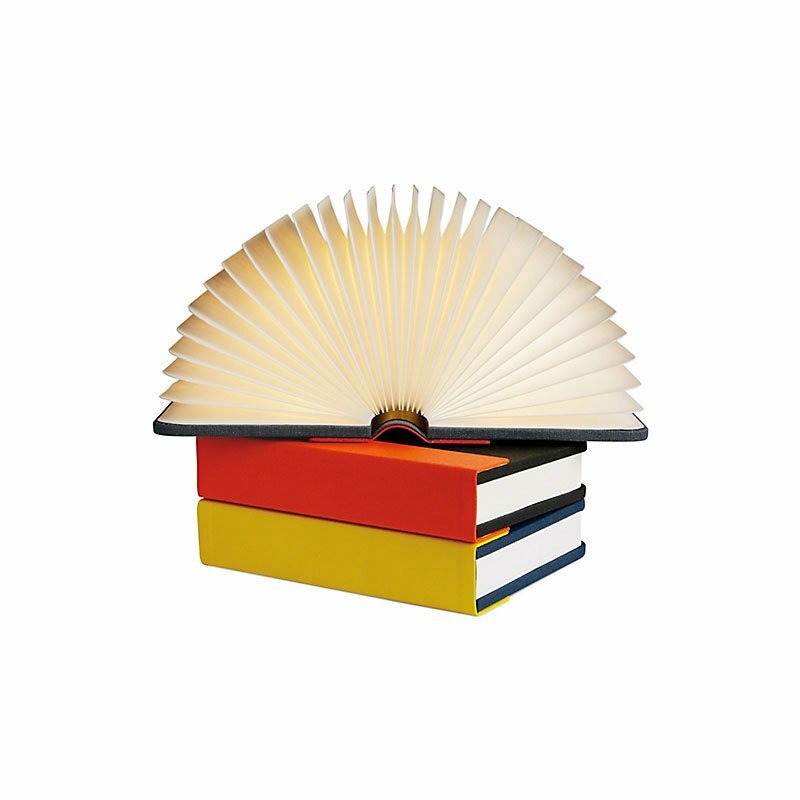 Disguised as a hardcover book, this ingenious lamp with durable, water-resistant Tyvek diffuser unfurls up to 360 degrees to provide warm white light wherever you need it, indoors or out. Open Lumio halfway and lay it on a table for brightest possible light, or open it fully until built-in magnets engage to form a cylindrical lantern that can be placed on any surface or hung in midair for ambient light. Runs up to eight hours on a rechargeable lithium-ion battery. Includes custom USB-to-lightning cord both for self-charging and for powering mobile devices, with ports hidden behind a removable magnetic metal spine. Bulb (included): LED; 4.5W max. Made in China.